top [l-r]: Marie L. Ratelle Preis (1911-1965), director; Harold I. Illing Jr. (1922-1989); Carl Hesey Byrd; ?; ? middle [l-r]: ?; ? ; Merlyn Mauterer? ; Kathryn Shanteau [McNeil] (b. 1926); Elaine Young Miheve (1922-2008); Evelyn Beaugez; ? bottom [l-r] ? ; Betty Noel? ; ?; ? ; J.D. Williams? ; Miriam Eley; ? ; Betty Page Seay; and ? 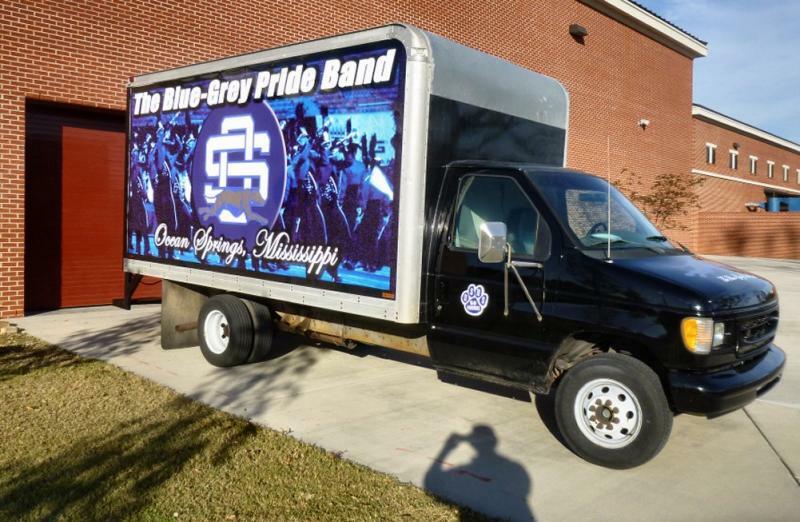 Corrine “Cody” E. McClure (1887-1961) taught private music lessons and music at Ocean Springs High School. Miss McClure was well educated having studied at Whitmore College, the Cincinnati Conservatory of Music, the Chicago School of Music, and Birmingham Southern. Her residence was on Ward Avenue. Cody McClure never married. She expired in 1961. Her corporal remains were interred in the Perkinston Cemetery at Stone County, Mississippi. 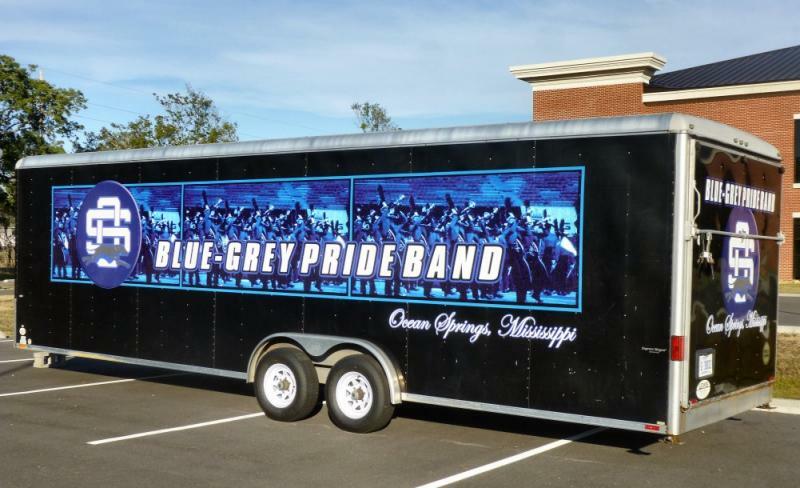 Band officers: Harold Eley, Captain; Lowell Davis, 1st Lt.; and 2nd Lt. Elaine Young. 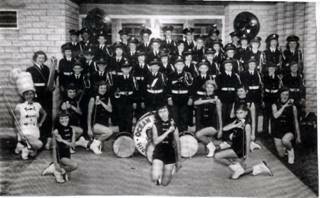 Band members: Karl Byrd, Evelyn Beaugez, Billie Bunch, Charles Davis, Lowell Davis, Tillie Davis, Harold Eley, Miriam Eley, Billy Hodges, Bob Hodges, Harold Illing (1922-1989), Lynn Johnson, Jeanne King, Merlyn Mauterer, Mary Joe Milner, Russell Moran (1930-1981), Betty Noel, Bobby Richards, Patsy Richards, Charles Rouse, Helen Rupp, Betty Page Seay, Kathryn Shanteau (McNeill), Ronald Steelman (1926-2002), Grace Van Winkle, E.J. 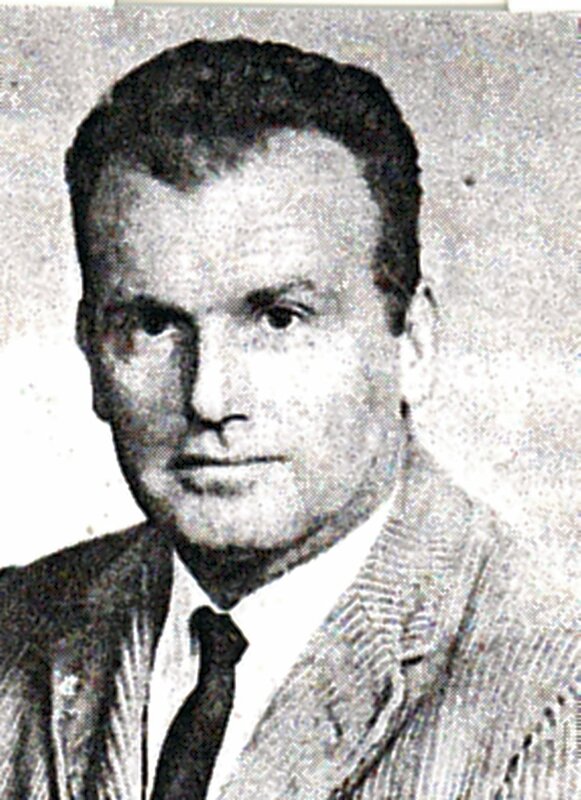 Webb, P.J. “Jackie” Wieder Jr. (1926-1993), Martha Weyerstall (Potter) (1922-1988), J.D. Williams, and Elaine Young (Miheve). Top [l-r]: Chester Estes Jr.; Ed Dorroh; Raymond Page; Walter Ross; Thomas bellman; Billy Cook; and Dicky Chambers. Third Row [l-r]: Edward Taconi (1939-1998); Charlie Voivedich; Dot Poole; Jerry Seymour; Lois Barrileau; Gerald Van Court; Peggy Williams; and Linda Dalgo (Bradford). Second Row [l-r]: Jacquelyn Miller; Larry Galle; Nancy George; Carolyn Pierce; Mary Williams; Mary Fountain; Judy Speed; Diane Lemon (Cuicchi); Helen Beckham; Wanda Seymour; and Sue Garland. Bottom Row [l-r]: Joy Rouse; Jimmy Dorroh; Howard Glass; Alfred Speed; Ernest Steelman; Paul DeFrank; Oliver Latil; Judy Ryan; Patricia Endt (Latil); Nancy Loper (Martin-Wilson), and Judy Webb. Second Row [l-r]: Janell Michel; Jonne Gay (Polina); Donnie Jean Lowery (Beaugez); Ann Fiebelhorn; Carolyn Carter; and Barbara Steelman. 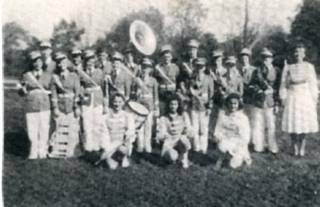 WPA For Mississippi Historical Data-Jackson County, “Music”, ‘Miss Corinne McClure’, (State Wide Historical Project-1936-1937), p. 371. The Daily Herald, “Ocean Springs”, December 29, 1932. The Daily Herald, "Ocean Springs to have School Band", September 28, 1933. The Daily Herald, “Kanady opening studio”, October 8, 1951. The Daily Herald, “Mrs. Marie Ratelle”, January 13, 1965. The Jackson County Times, “Preis-Ratelle”, February 18, 1939. 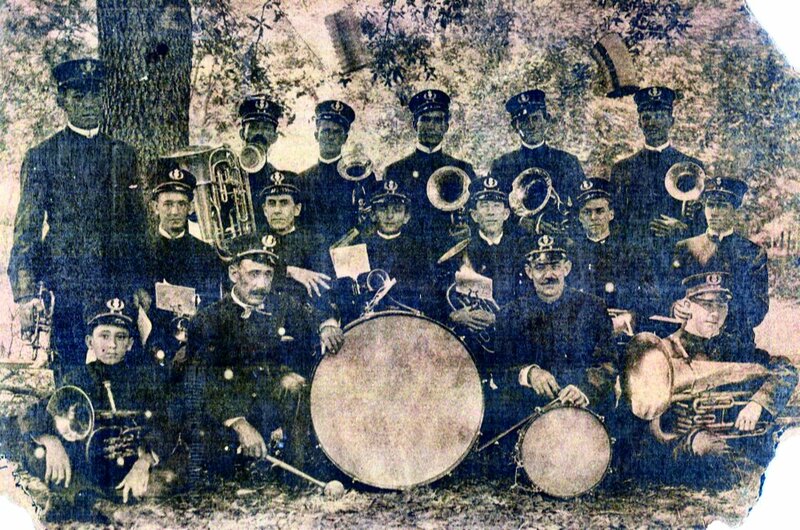 The Ocean Springs News, "Brass Band is organized", March 25, 1915. The Ocean Springs News, “Ramblings”, May 14, 1964. The Ocean Springs Record, “Joe Ello tonight on music therapy", June 19, 1969. The Ocean Springs Record, “Harry Johnson Kanady”, May 12, 1988. The Ocean Springs Record, “Mary Elizabeth Kanady”, August 13, 1992. The Ocean Springs Record, “A vision realized: Scharr/Ello Music Studio a tribute to tenacity of family, community", January 4, 2007. 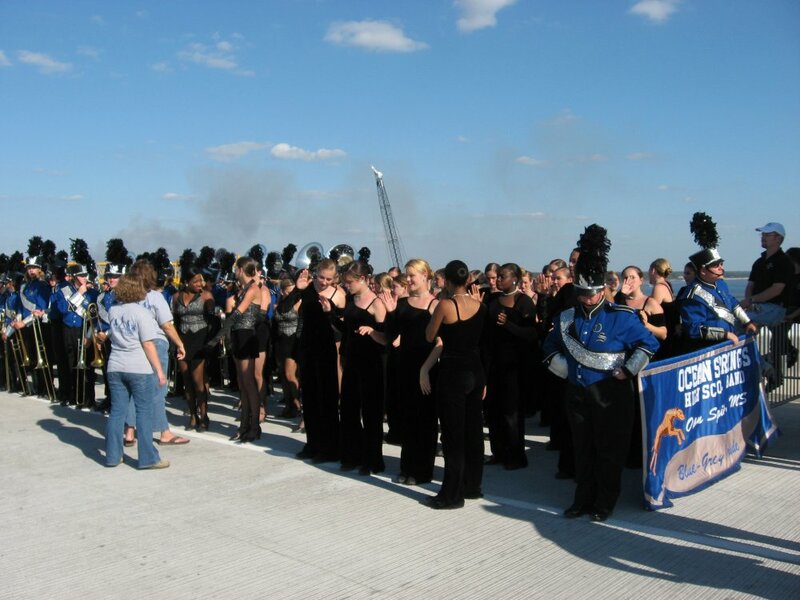 The Ocean Springs Record, ""Student faculty band has something for everyone", May 26, 2010, p. 1. The Sun Herald, "Mr. Joseph G. Ello Jr.", January 31, 2007. The Sun Herald, "Ello was teacher, learner", February 1, 2007, p. A5. 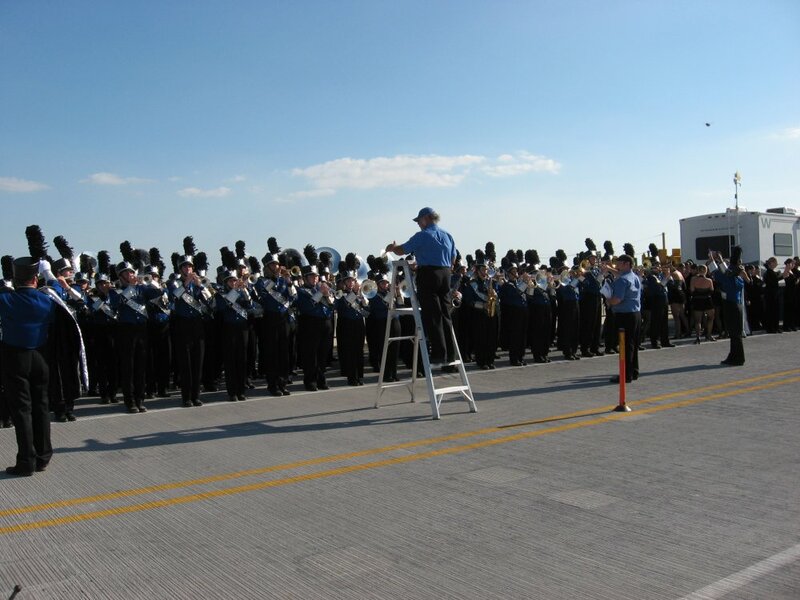 The Sun Herald, "OSHS band director wins 2009 state award", April 11, 2010, p. A17. The Sun Herald, "Ronald Beverin", June 26, 2011, p A12. Joseph A. Cacibauda, telephone conversation at Ocean Springs, Mississippi-January 2, 2006. David Allen, e-mail from Gulfport, Mississippi in June 2009.